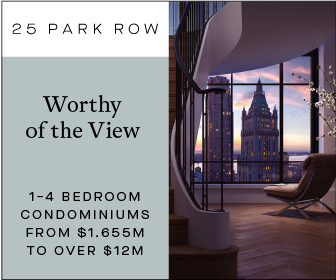 Once the site of the electronic and music store J&R, 25 Park Row has risen tremendously quick above City Hall Park and the Lower Manhattan skyline in the past year alone. Excavation and foundation work only began in 2017, but the halfway mark for construction was reached in early August. 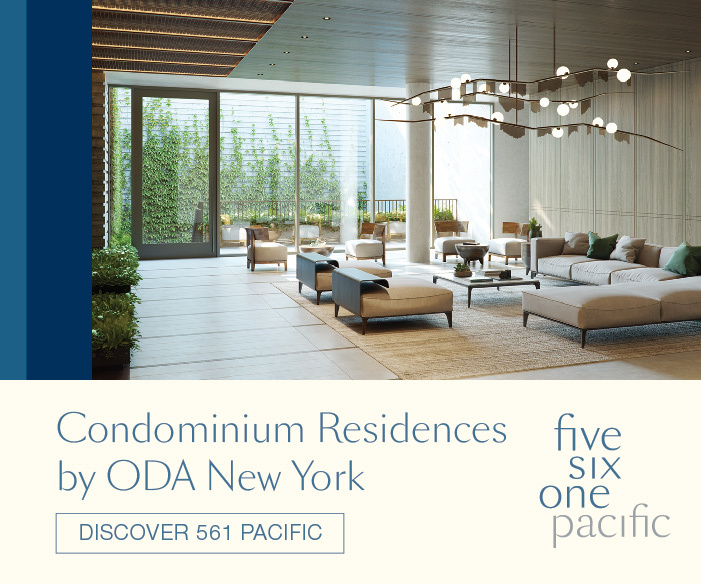 Since then, a new rendering of the 50-story and 665-foot residential skyscraper has been revealed, and work has progressed to the final upper floors directly below the extruded crown that tops the building. COOKFOX Architects is the architect for the project while L&M Development Partners and the J&R Music Store founders are developing the project. 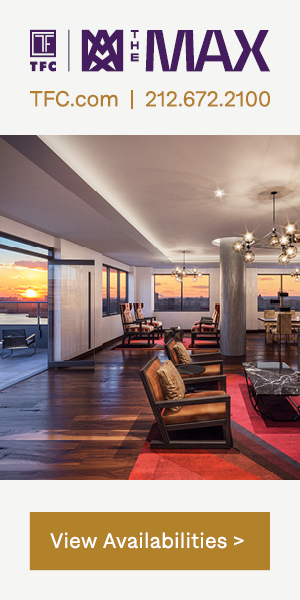 Corcoran Sunshine Marketing Group is in charge of handling sales for the 110 units. 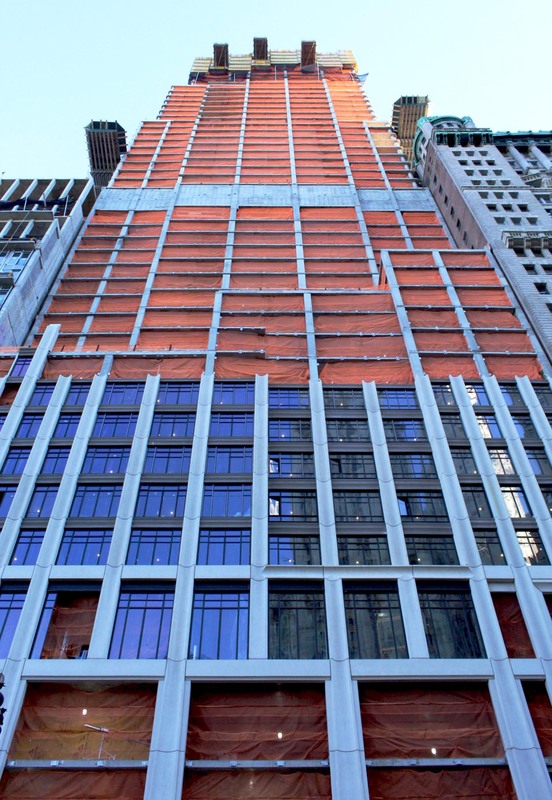 The exterior curtain wall has reached the eleventh floor of the building. Comparing photos from earlier this year to the site as it stands today, 25 Park Row has grown quickly at a steady pace. Now, panels on the western facade are starting to be assembled in place just as fast as the floors are being poured and formed above. Large windows will soon be installed on the first four floors of the structure, which will house the main lobby and retail space along Park Row. The panels have started to cover the reinforced concrete columns, and feature subtle architectural detail. Starting flat, the panels begin to gradually form an indented curve as one looks up the building, giving added textural and sculptural quality to the finished look. From the eleventh to the sixteenth floor, the first three-tiered stepped setback appears parallel along Park Row, which will become outdoor terraces for some of the 110 units within. 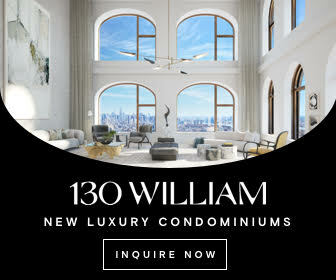 The balconies and open terraces will be located on the northern and southern ends of the floor plan, above the roof parapets of 1 Beekman, aka Pearl on the Park, and the Park Row Building. 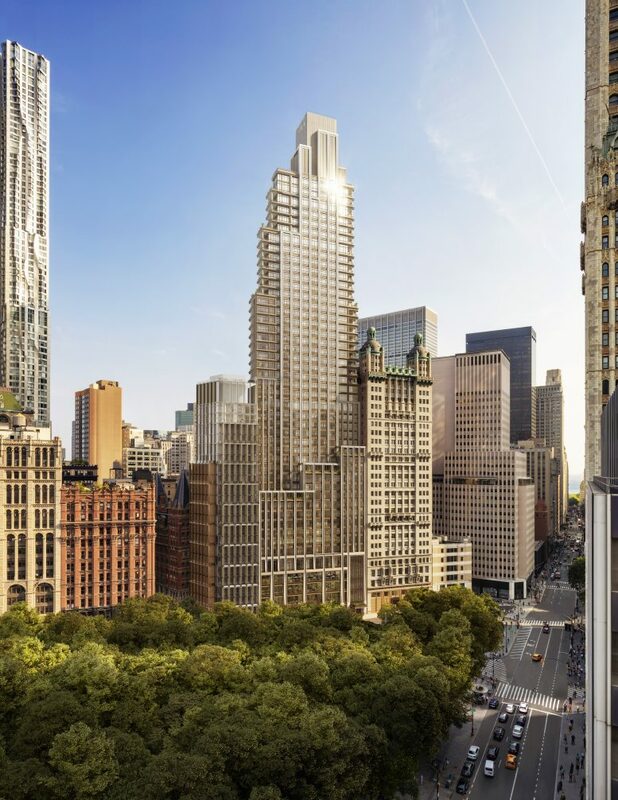 This will give residents access to plentiful light and air, and uninterrupted views of City Hall Park, the Woolworth Building, and the World Trade Center. 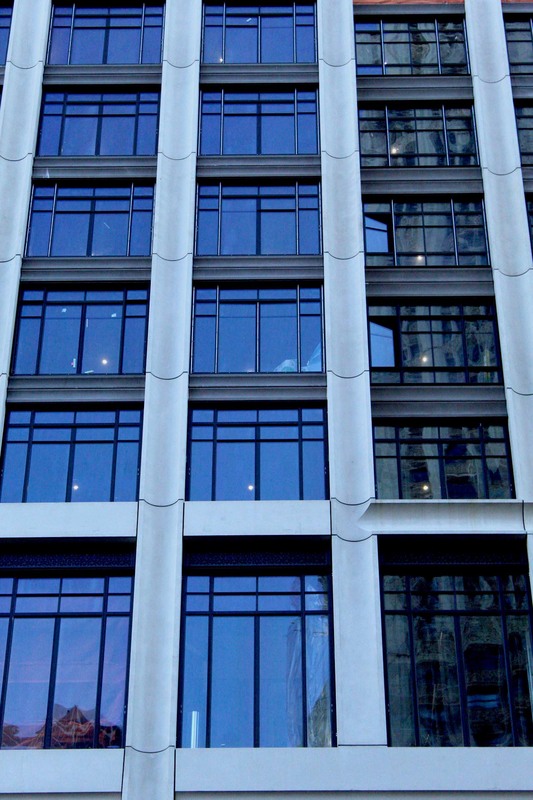 Several faux-window panels have already been installed on these two small specific sections of the building, but they will not mar the overall appearance of the skyscraper. The building is not a supertall compared to the surrounding skyscrapers like the World Trade Center less than ten minutes away, but it will have a dramatic impact on the skyline when looking south from City Hall Park or east from St Paul’s Chapel. 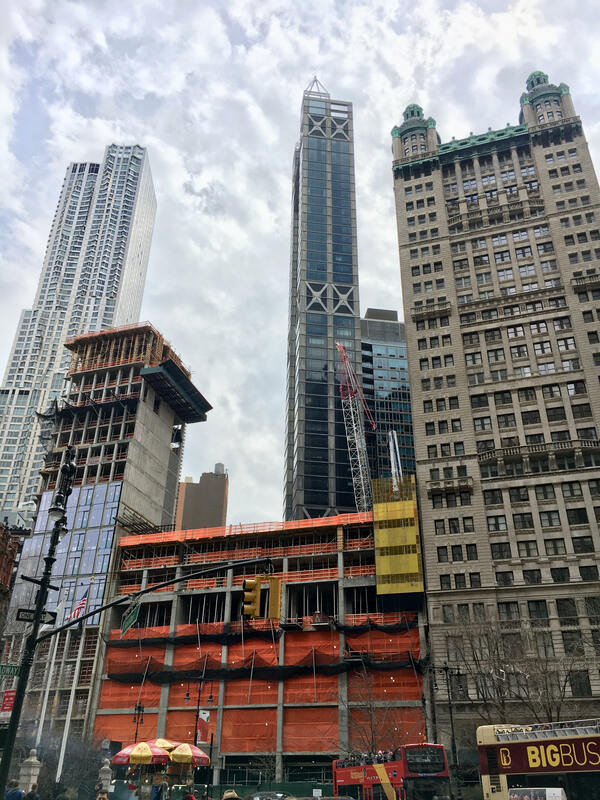 It is one of several residential buildings that are rising above Lower Manhattan including 130 William Street, One Seaport Residences, 19 Dutch Street and eventually 45 Park Place in the near future. 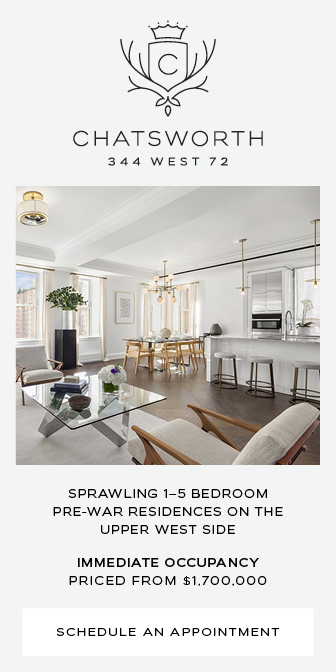 25 Park Row is set to be complete sometime in the latter half of 2019. 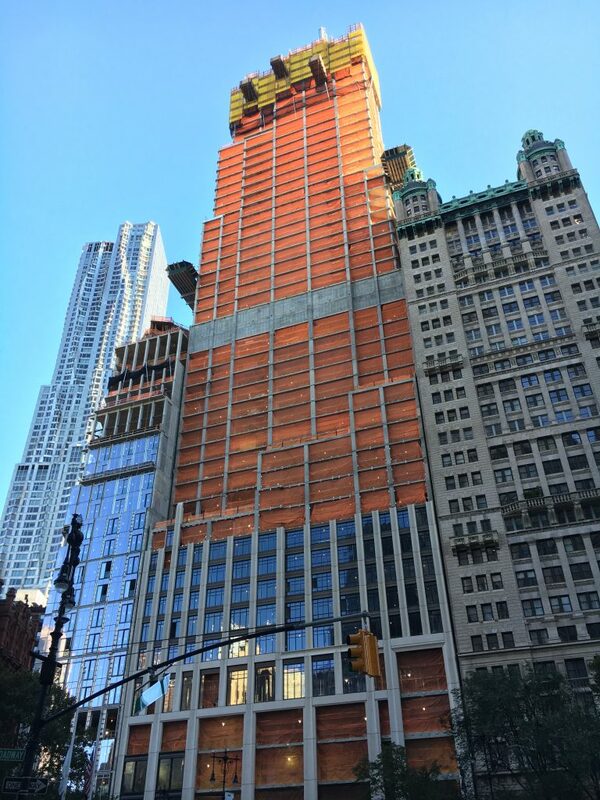 6 Comments on "25 Park Row’s Final Floors Rising Above The Financial District As Work Nears 665-Foot Parapet"
They had BETTER build those downtown buildings HIGH! whose ultimate fate was only previewed by Superstorm Sandy several years ago. as much underwater as the buildings themselves in the next century. Or earlier. amid the rising waters all around them. after Trump & his irresponsible legacy. the Woolworth Building, and the World Trade Center. as its users seek respite from the ever-encroaching claustrophobic canyons of the City? When you work 24 hours straight once a week and until 2 am everyday things move quickly. Who cares if you are impacting quality of life in the neighborhood and keeping people up all night. Big and bland: what a lost opportunity.